Novell - Made in America! Novell – Made in America! All Novell Design Studio wedding bands are made one at a time by individual craftsmen. Our designs are not mass produced using a cold, sterile manufacturing assembly line, nor is anything created in an overseas facility. 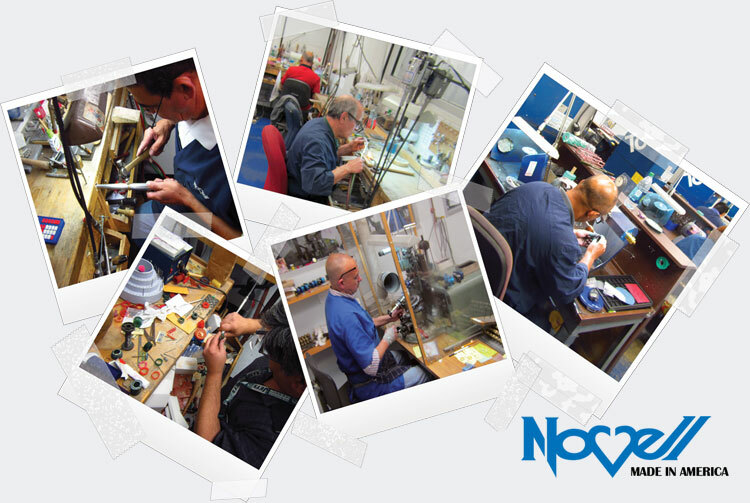 These images are from our East Coast factory. Sometimes a dozen people have had a hand in making your wedding band as perfect as it can be!